Warriors, in my “Purse Strings” article, you were promised a follow-up article further looking at the connections between SEL (Social Emotional Learning), the SMART Goals, and, the HARD Goals. Briefly, before we get to that follow-up information, I’d like to point out something I didn’t in the original article. The connections between who funds each of these types of activities in each of our States is worth looking into. However, don’t only look at the wealthiest folks, but look at their foundations. Look at the traditionally conservative or liberal policy think-tanks. Are there connections between these groups? Are there partnerships? A great conservative example is the AFC (American Federation for Children). Besty DeVos has been instrumental in AFC’s work in the States. Does AFC have an affiliate in your State? As far as an liberal example, try to see if your State has any affiliate offices for the Center for American Progress (CAP). Also, what PACs (Political Action Committees) are active in education in your State? More information about PACs and how they are broken down can be found at OpenSecrets.com. ESSA (Every Student Succeeds Act) not only mandates MORE P3s (public private partnerships), it will reward them for overreaching into education! Find out what are they supporting or funding in the War Vs. the Core. To quickly review the connections between these encompass the global education design for “grit”. Meaning, all education must be a certain way in order to be deemed as ‘successful’. Put another way, per the NC ESSA State Draft Plan (I found it in other State Plans as well), ‘grit’ is for ‘college and career readiness’ (CCR). CCR is another phrase for ‘post-secondary readiness’! See the evidence here. By passing WIOA (Workforce Innovation and Opportunity Act) in 2014, ESSA (Every Student Succeeds) and the STEM (Science, Technology, Engineering, and Math)Acts in 2015, renewing the HEA’s (Higher Education Act) funding in 2015, our federal government has done a ‘bang up’ job of mandating we’ll see MORE grit, SEL, SMART, and HARD parameters in ALL educational levels. You’ll find plenty of SMART (Specific, Measurable, Attainable, Revelant, and Trackable) and HARD (Heart-felt, Animated, Required, and Difficult) in every digital resource your students encounter. All those ‘personalized courses’ are an example. Teachers will also face the same constraints. HOW? Professional Development in ESSA mandates teachers and other educational leaders MUST be credentialed in everything post-secondary readiness so their students can measure up. Teachers/leaders/students will be collectively graded on how successful what is taught and learned. It’s called whole school grading. ESSA will reward or punish States where schools do not measure up. Likewise, teachers/leaders will be rewarded or punished if not properly credentialed or badged. 1) As we know, there’s a 2013 U.S. Dept. of Education publication about GRIT. 2) SMART (Specific, Measurable, Achievable, Realistic, and Time-bound) Goals. Originally designed for business, it appears they’ve made their way into education. Here’s a document from the State of VA. It’s from the Human Resources Dept of the University of VA. It’s clearly visible this document was for use in higher education. Warriors, we know higher education has been overrun with corporate/federal interference to help embed that cradle to grave stream global education needs for all citizens. I’ve covered this multiple times here on my blog. WIOA (Workforce Innovation and Opportunity Act) and HEA (Higher Education Act) are tools for this. ESSA’s the same. 3) What happens when GRIT and SMART are combined? Find it here. 3a) From CA, a 6th grade Career Roadmap using SMART. 4) Below, Lifelong Learning Labs has this definition of SMART for education. As you can see it’s not too far removed from the business model (‘SMART’ in business stands for Specific, Measurable, Achieveable, Realistic, and Timely.). LLL also calls SMART Goals ‘mind tools’. 5) From the Science and Arts School at the University of PA, the 12 Point GRIT Scale used in classrooms across America. HARD Goals supposedly are to make your brain engage and cause your performance levels soar..at least in the business world. According to this blog article about HARD Goals, the concept has been around a long time. These are to be the ‘softer’, more personal skills you have or can groom in others. According to this same article, Leadership IQ’s Mark Murphy has created the latest acroynm. So, who is Murphy? From his Leadership IQ website, this excerpt about his ties to the CCSS Machine and global workforce/education. 1) According to Tony Gurr, he created HARD Goals for education/teaching back in 2012. His blog entry reveals he ‘borrowed’ Mark Murphy’s business model. See it here. Gurr’s based in Turkey, by the way. According to his LinkedIn profile, he’s got his finger on the HARD/SMART, English Language Learning (ELL) and, English Language Teaching (ELT) education reform. See his ties to Dubai, too. Gurr’s a presentor in this on-line course for teachers available to all education choices. 2) From the “Read Less, Do More” website, Murphy’s summary on how HARD goals are to be used. Read this and see if you do not recognize some of the techniques used in classrooms. 3) If you don’t have time to read the summary, look below for a visual example of HARD goals from 2014. Entire Slide Share presentation, here. Warriors, ‘personalized learning’ uses SEL, GRIT, SMART, and HARD! 4) Murphy’s lastest article on HARD vs SMART for Forbes, states both are best for career development. Knowing how aligned to this mandate ESSA is, look for more of this type of BS in classrooms. 5) Tying Grit to Education Savings Accounts, will not only encompass personalized learning, but CBE (Competency Based Education). Big money groups in our States fund these! A ‘leader’ in this is The Jeb Bush Foundation for Excellence in Education. However, FEE is hardly the only big-buck-group in this education reform. Here’s a previously published article where I laid it all out for you. Warriors, I hope between the strings and goals I’ve presented for you in the 2 related articles, you can get an idea that ‘local control’ as promised by the CCSS Machine is a big, fat lie. Locally controlled education should not have nebulous purse strings or someone else’s business modeled priorities as the guiding framework. Local education should be OF the people, BY the people, and, FOR the people. One truth you can still share with your State’s leaders/funders, etc. is that this federal statute is STILL being broken every day ESSA’s implementation continues. Every day WIOA’s workforce ursurping of education continues, furthers this breach. With the HEA being re-written, the egregious overreaches will continue. Will your State speak up?! These questions and more await us in today’s in-depth article. I was recently contacted by a concerned NC citizen. She needed help in figuring out what is State law for school boards, does local policy adhere to State law, and, is there any policy which side-steps the State, and goes to a federal level of compliance. All excellent questions. Warriors, I profess that I am not a lawyer, but with a policy which reads like this, it certainly calls into question, why is a county school board appearing to go around the State law to pledge adherence at the federal level? FYI: The ‘NC Standard Course of Study’, aka, ‘Essential Standards’ (Common Core rebrand) are written into State law. Look for NC General Statute 115C, Article 8. While I didn’t find a similar policy for the county I was contacted about, what I found in our State law is worth sharing. It also gives us some BIG questions to have answered! 1) Access the Statute here. You’ll notice that the specific legislation is 22 pages. One of the most immediate concerns we should all be thinking ahead about: Will school boards across America change much under the ESSA mandates? 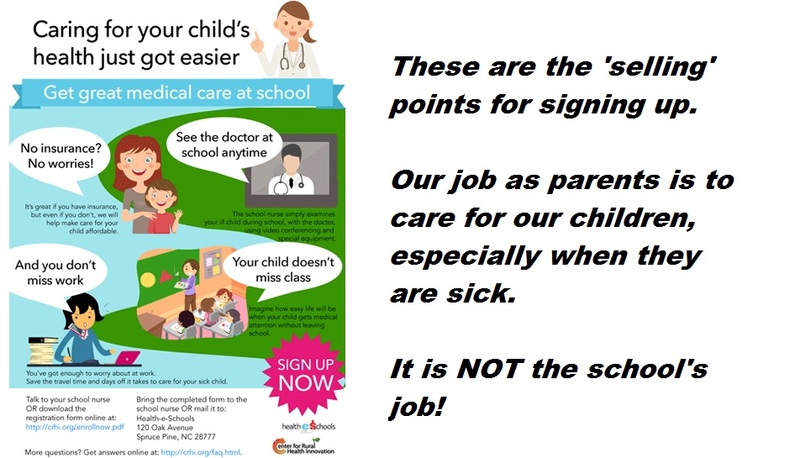 1’s Reality: Here in NC, our school boards are locally elected. However, not every State is the same. Elected or not, what does it mean locally? ESSA increases power, both at federal and State levels. The big questions: What is ‘school law’? Does the ‘enforcement’ mean ‘any and all measures’? What group holds the school board in check to ensure local citizens there’s no manipulation of the assigned power? 2’s Reality: Under ESSA, all education MUST be aligned to post-secondary readiness as defined by WIOA (Workforce Innovation and Opportunity Act). WIOA is not a specific ‘school law’. It DOES encompass education, but it is, after all, a U.S. Dept. of Labor law. How will NC, or, for that matter, ANY State, fare locally with their school boards when a workforce based law dictates education?! a) The Census is being used by the CCSS Machine to orchestrate neighborhoods, manhandle museums and libraries, and more. From right here, in the town I live in, an excerpt from this article about local control and federal overreach. b) ESSA’s codification of Promise Neighborhoods, as well as the continued creation of 21st Century Community Learning Centers. c) Does your State have ‘Prosperity Zones’? NC does. There’s even another State Statute in place to streamline jobs and their training. By now, we know that ESSA is the ‘missing link’ between jobs and training. While the article about the Zones is from 2015, you can see just how overreaching the federal government is and how State districts will directly play into the overreaches. Your big question here should be, does my State have similar language? If so, what other agencies in addition to the SBE, have control over my school board? What about heavy influence over the school board, is there a tie to the CCSS Machine? 5) Pages 9-21 spell out the 63 responsibilites and powers local school boards in NC have, as well as are authorized to carry out. I won’t list all 63, but, I will point to the ones we should all be looking at, regardless of where you live. Each will be followed by a question to consider. 5’s Realities: a) “To Provide the Opportunity to Receive a Sound Basic Education”, page 9.
Who decides the soundness of a basic education? ESSA says the States must have the Secretary of Education’s approval for what’s taught. Where’s the local control there? b) “To Regulate Extracurricular Activities”. With ESSA’s 24/7/365 mandate for anytime, anywhere learning (you can’t have student achievement without being hooked to a computer device), this is going to be almost impossible for local school boards to carry out. c) “To Accept and Administer Federal or Private Funds”, page 10. Warriors, this is huge! d) “To Sponsor or Conduct Educational Research”, bottom of Page 10. ESSA’s ‘educational research’ includes an in-home assessment for how well connected to the internet everyone is America is. See my article.Also, Warriors, any time you see ‘educational research’, think of what the underlying activity: data mining. Then, the big question: What group or groups did my local school board hire? e) “To Adopt Rules and Policies Limiting the Noninstructional Duties of Teachers”, Page 13. ESSA’s not kind to teachers at all. They are expected to teach to post-secondary readiness, regardless of age or grade, their pay will be factored by overall student success and engagement, AND, they will become quasi-doctors via the social emotional learning and behavior interventions. (*Notes: Look directly below the ‘teachers’ on Page 13 and you’ll see their training, as well as principals. Use all 3 embedded links directly above and apply. Then, refer to Page 18, Items 43 and 46) Our big question here: What pro CCSS/CCR/CTE/STEM groups is my school using at their discretion OR the State’s bidding which train, incentivize, or other wise reward for aligning teachers to ESSA? f) Page 15, “To Appoint Advisory Councils”. This is legalized in yet another NC State General Statute. Appointing key positions is dangerous. No vote means no voice. This, in the long run, mutes the taxpayer’s and parent’s voices. Big question: Are these ‘advisors’ local or are they somehow connected to the educational reform? We’ll pick this up in my next article, Warriors. We’ll also address how city school boards, private schools, home education, and, charters authorities will be treated in the ‘ESSA Era’. Years ago, I remember hearing Robin Williams rattle off a routine about the future of his (then very young) children. In a mere matter of seconds he vacillated between their college graduation, great success, OR as a worker at the burger joint down the street, saying “You want fries with that?”. As we know, all parents have big hopes and dreams that regardless of WHERE our children become a success, as long as it is THEIR success. Success SHOULD NOT mean it’s only applicable when you graduate college and get the big fancy house with the fat paycheck. Successful people throughout history have often been dirt poor or middle income. The CCSS Machine is stopping at NOTHING to ensure our children have almost NO success whatsoever…except what the Machine is willing to dole out to them. After this past week’s digging into the agenda moves behind the “I Just Sued the School System” and “The Thinning” (believe me, I am not done with either yet, but more on that in a day or so. ), I have about had my fill of the depths of deception the CCSS Machine is going to make ‘blastedly’ sure NO child (regardless of age) will succeed at his or her own pace. The REAL name of the program I am pointing out is known as “The Young People’s Project Math Literacy Workers (YPP’s MLWs)”. If you need to enlarge the picture, please do. Before we proceed, I am stating for the record, my ‘axe to grind’ is not with Civil Rights. As always, it is the CCSS Machine. What I want to know, as do you, how involved is the CCSS Machine in a program like this? We all know tutors are great! Many successful people have had tutors in their lives. However, with the age of this program, the amount of time our educational system has been reduced to what we have today, I wonder how much MORE damage to ALL involved when ESSA (Every Student Succeeds Act) is fully and finally locked in. So, how does the Math Literacy Program work? What math curriculum is used? Is this nation-wide? I will answer each, but not in order. I am pausing here because if I don’t say it, I will burst…America is NOT a democracy! UGH!! Moving on now, this paper was prepared by the National Council on Education and the Disciplines (NCED). NCED is a part of the Woodrow Wilson National Fellowship Foundation. What you see below is from the opening pages of the over 140 page document. As far as the over 140 page document, be sure you look at the Table of Contents. I especially am pointing you to the section titled “Numerical Common Sense for All”, page 61. You’ll also be interested in seeing the curriculum for MLW are NCs (Neighborhood Circles). The NCs are a product of the Lawrence CommunityWorks. The linked document MLW has is from 2007. Almost immediately, you will see that the best start to globalization begins in your neighborhood. You REALLY need to see/read this dated, but still used, plan. 0155_neighborcircles (*Note: back in 2010, Lawrence,MA did receive a Promise Neighborhood grant. See: http://www.ed.gov/news/press-releases/us-department-education-awards-promise-neighborhoods-planning-grants) Promise Neighborhoods are now codified in ESSA. You’ll also need to see how the NSF (National Science Foundation) is involved in the MLW curriculum. I especially despise the NSF for their access to huge government funds as well as their use of those funds to churn out as much CCSS/STEM rhetoric as humanly possible. If you are not sure how toxic the NSF involvement in education is, please, search for them among my archives. What they do and have access to is truly worth knowing. Below is a screen shot of the SCRATCH curriculum. Embedded in the SCRATCH curriculum is a video with Chris Bosch, Bill Gates and others. When you go to the video link, you will see a website address of ‘code.org’. The last question, which we’ve not answered yet is, is all this national? Yes. So, Warriors, you tell me…is there anything else for our students of all ages? This in-depth article follows the agenda. Look no further than the WHO (World Health Organization). WHO is a part of the UN (United Nations). UN also has UNESCO (United Nations Educational, Scientific, and Cultural Organization). UNESCO has the global “Education for All” agenda. UNESCO and Bill Gates also signed an agreement in 2004 for a global curriculum. (See Berit Kjos’ publication, “Common Core: A Global Education”) UNESO also has IB (International Baccalaureate Schools). Those IB Schools have an extremely controversial altruistic helping write curriculum. The IB Schools are among the educational institutions included in the ESSA. In the screen shot above, notice the underlined sentence. ‘Sports as a possible source for inner improvement’. While that doesn’t appear on the surface to be so aligned to global education, or even the CCSS agenda, think about how aligned to CCSS, sports already is! Think about the mandates in the ESSA where personal learning, student achievement, and behavior interventions (among others) will use anything remotely connected to education to use it for alignment purposes. Consider all the other Warriors who have shown us the mental destruction CCSS is causing NOW. None of this, of course will be talked about during the Olympics Games themselves. Everyone will be cheering, fawning over how great the Gold, Silver, and Bronze medalists did in their respective sports. No one will stop to think (at least for long), just how thin a veil of deception is being laid over the time in Brazil. So, Warriors Against the Core, what can WE learn about the IOC’s Ed Program?! Let’s find out! According the Overview of the Program, sports is considered the ‘school of life’. Now, let me pause for just a moment..
Also according to the Overview, the Program interlinks with 21st Century Skills which are needed (not to mention also embedded in the WIOA (Workforce Innovation and Opportunity Act), HEA (Higher Education Act), ESSA, STEM Act, and more). The IOC Ed Program is to be used inside and outside the classroom. ESSA has mandates for during school and after school student activities, supports, etc. Below is a screen shot you should click on to enlarge. See the thin veil of deception being used for global education agenda? If you want to know how to Implement the IOC’s Ed Program, look below. The link to download the entire poster will be beneath the screen shot. Over on the UNESCO website for Fair Play Schools (FPS) Initiative, it is called “Fair Play: the Winning Way”. Broadcasting rights in the US? NBC, a well known Common Core Supporter. Think of it this way, every time we purchase an Olympic postage stamp, T-shirt, or a product from the global partners, we are feeding the very CCSS Machine set on leveling education to a globally aligned one. The Press Release tells you how NASFA, the CCSSO (Council of Chief State School Officers) and Interstate Teacher Assessment and Support Consortium (inTASC) partnered together to build off the 2011 CCSS for the new Global Education you see above. 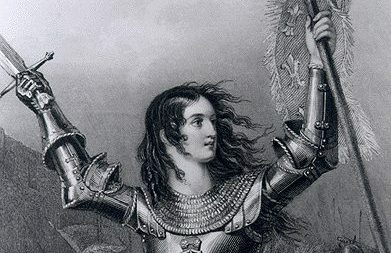 Warriors, I hope you have learned much in this article. I know in researching, I did. How can we fight this? So much already seems to much in place for us to defeat it. As always, once you know, go..and tell others. Power is in the people’s hands to defeat more from our top-down educational system than we realize. Get involved. If you haven’t read the ESSA Proposed Regulations yet, do so! Provide feedback where you see the gross overreaches in these regulations. Refuse to support any part of the CCSS Machine you choose to..be it buying an Olympic t-shirt to boycotting McDonald’s. (One word though: the more who boycott the same place, the more impacting the message is). One huge factor of ESSA everyone seems to not know, or has glossed over. Congress can still reign in the U.S. Dept. of Ed! Do You Know This GA? Sure, we Anti CCSS/Fed Ed Warriors know there are General Assemblies of all kinds. We have them in our communities, our legislatures, and even global ones. But, did you know there is a CCSS Machine ‘General Assembly’ group? As an avid researcher, it is easy to find one group when investigating another group. Add in an educational topic, and the groups appear to be not only tied at the hip, but plentiful. My latest ‘connect the dots’ findings come from when I was looking into WhiteBoard Advisors and found General Assembly, a Global Educational Group. In case you missed my Weekend News, my third point in the publication was to point you to the WhiteBoard Advisors and their May 2016 Education Insiders Report. I noticed in several instances on the W/A (as they refer to themselves) website, General Assembly was brought up. Thinking it meant that the W/A had a General Assembly (GA), I tried to find out who serves on it. However, what I found instead was the linkage between the two separate groups. All in the name of education reform, to boot! While there will be plenty to share about W/A in the near future, I will be using the rest of my Monday Musings to look at the General Assembly Educational Group. Warriors, do you see the CCSS Machine agenda? I do! What in the Report is of note? 2) The Report is from 2015. 3) It gives a ‘Top Ten’ list of policy making considerations to boost state and local economies via skill based education. 4) Both authors (DeSchryver and Kelly) are tied to other CCSS Machine member organizations. 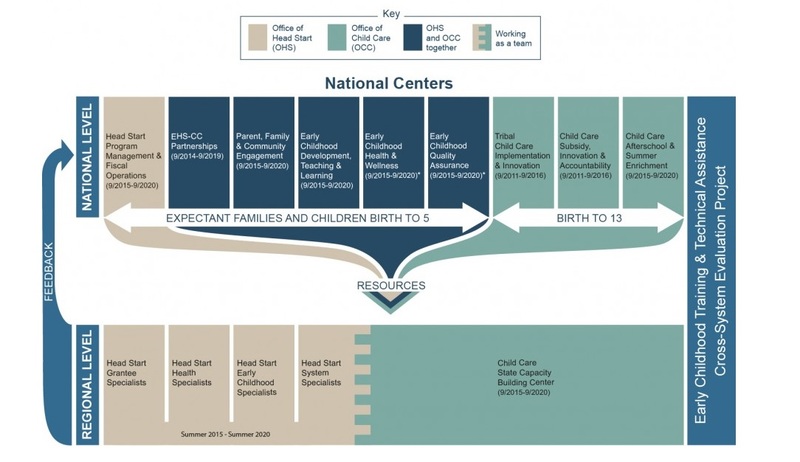 Kelly is tied to the Gates Foundation funded Education Week; DeSchryver has been in the thick of education reform since the NCLB (No Child Left Behind) days. 7) The Report details how GA is helping transform America’s economy. 8) GA is working with an official from the U.S. Dept. of Ed to help accelerate learning. 9) The Report details how all this will be regulated in various States. Usually either the Workforce Training or the Higher Education Committees. 10) Employers are expected to not only be clear about their workforce needs, but to help in the credentialing process for education. Lastly, of the Top Ten priorities for state and local policy makers? Outcomes! Not true education, but outcomes of our students…of all ages! From the list above, you may (or may not) see any further CCSS Machine connections. However, there are a couple which really stand out to me, GSV Capital and Rethink Education. In a short sentence, GSV is tied to the CCSS Machine through investments. Rethink Education is tied back to W/A (WhiteBoard Advisors) via Ben Wallerstein, one of the co-founders. That said, let’s see what else I can point you to about each of THESE CCSS Machine member organizations. In this article, I showed you the ‘GSV’ in GSV Capital stands for Global Silicon Valley. The Capital’s goal? Re-imagining education…we are talking well-known heavy hitting big name CCSS Machine members are involved; we’re looking at least $4 trillion dollars in the global education market, Warriors! We are also looking at how this group wants to eliminate school boards in the process. To see where in the list of priorities THIS bombshell is, be sure to enlarge the picture when you read the above article. “While there was plenty of competition for “mindshare”, last week we co-hosted the seventh annual ASU GSV Summit in San Diego, a gathering of leaders from across the global innovation economy with the mission of accelerating exponential ideas in education and talent. We welcomed over 3,500 entrepreneurs, educators, business leaders, policymakers, and investors, as well as 350 game-changing presenting companies.” (*Note: ASU is short for AZ State University, another well known CCSS Machine member.) See the screen shot below from the Blog. Also among the Rethink Education folks, is Tom Segal, one of the co-founders. He is regularly featured on EdSurge (another CCSS Machine member). Tom also posts blog entries on the Rethink Education website. His entry about the beginning of Rethink is worth noting. Why? Both co-founders have a long history of ties to CCSS Machine connected entities, like Head Start and CUNY (NY). I have tied both of these back to the Machine in previous articles. As far as EdSurge’s ties: One of the Board members represents GSV Capital! Warriors, do you see the nebulous ties above? It is insane how these groups are so closely in-bred. Not only are we having to fight the federal and state levels of government over Common Core and all that goes with it, but we have a plethora of private groups strangling our voices! Our governments and our schools should NOT have ANY private investors except the parents! By this, I am not talking investing money, but parents investing with their hearts because they are simply trying to do the best for their students. ESSA (Every Student Succeeds Act), WIOA (Workforce Innovation and Opportunity Act), and the HEA (Higher Education Act) mock us. The P3s mock us. The CCSS Machine not only mocks us, but is doing its best to silence us! Be sure to note that I will continue to delve into this subject and report what I uncover. I will also be exposing more about WhiteBoard Advisors soon. Last night, I had the honor of speaking out against Common Core and the ‘CCSS Machine’ as I call it. In today’s “Tech Thursday”, I will share the details so you discover for yourselves, just how broadly the all-encompassing education reform (illegally based) has progressed. When I was invited to join last night’s phone call, I asked my hostess what the topic was to be so I could prepare. The topic, she said, would be to tie in how the most recent shooting in OR, not only Common Core, but the overall mental damage our educational system has wrought upon our schools. My part of the conversation was to see where Common Core, communities, mental health, and gun control intersected. To access the Presidential Report from 2013, be sure to click on the embedded link ion the “Project Aware” article. Bottom line technical detail: With this much effort (trust me, this is just a glimpse) put into aligning our educational leaders to the overall CCSS agenda, it’s no wonder education is in trouble. CCSS is breeding compliance. (*NOTE: In this article she shares how the upcoming re-authorizations of the ESEA (Elementary and Secondary Education Act) will advance the mental health power grab of our students. That’s not the only source available to you as anti CCSS warriors. However. let’s move on to more technically speaking aspects of the mental health moves being made. https://commoncorediva.wordpress.com/2015/07/04/sic-em-saturday-pint-sized-common-core/ From this article, you can learn how Head Start, Bill Gates, Jeb Bush, and others are backing education reform to impact our youngest students. The American Association of Pediatrics is even helping out! You’ll also learn how the Partnership for 21st Century Skills (P21) is involved for the purpose of total community alignment. Bottom line technical detail: When you look at the language of the Student Success Act (HR5), the Every Child Achieves Act (S1177), and the upcoming bills which will impact higher education, mental health is most definitely being used against us with the goal of re-ordering how we feel, think, and, what we believe. You have a foundation of compliance, a layer of mental health re-ordering for all involved, so where do the guns factor in? Think about all we’ve heard and seen in the homework examples where our Constitution is re-written. Consider the other social issues which have crept into our classrooms with rapid speed. Gun control is definitely in the mix. Here is the evidence of CCSS aligned lessons concerning guns. One noteworthy thing, the first ‘guided question’ doesn’t refer to the U. S. Constitution, instead, ‘rules and guidelines created over 200 years ago’. 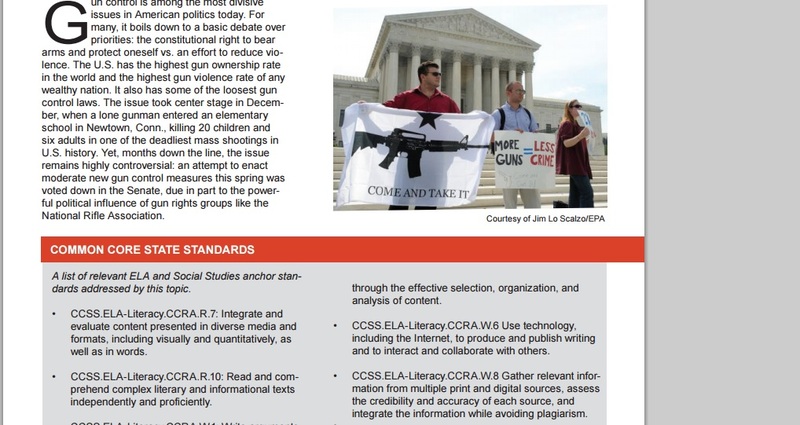 Are there other resources for CCSS and the Second Amendment? Sure there are. Just conduct a general internet search for ‘Common Core gun control’ or “CCSS gun control”. Think about how distorted CCSS is making every subject it touches. Consider that while the CCSS in our lives is illegally based (breaches the 10th Amendment, breaks at least educational laws), we’re seeing policies watered down, legislation created to support the CCSS Machine..not end it!